Mediterranean Region is one of the rarely studied areas for active tectonism, subduction and related natural hazards in the past two decades. 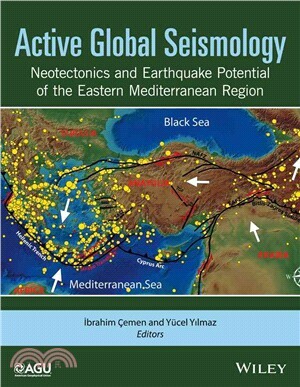 This volume will focus on the Neotectonics of the Eastern Mediterranean region which has experienced many major extensive earthquakes, including the devastating Izmit, Turkey earthquake (Mw=7.4), which occurred midnight on August 17, 1999. The event lasted for 37 seconds, killing around 17 thousand people, injuring 43,953 people (official Turkish government estimate), and leaving approximately half a million people homeless. Since then, several North American, European and Turkish research groups have been studying the neotectonics and earthquake potential of the region by using different geological and geophysical methods, including GPS studies, geodesy and passive source seismology. Some results from their studies were presented in major North American and European geological meetings. However, the first comprehensive collection of research case studies of this region was presented at the 2013 AGU fall meeting last year, which included 8 oral and 12 poster presentations focusing on Neotectonics of Anatolia, Turkey. This session brought researchers from all over the world together and provided a formal discussion on several important issues related to the neotectonics and earthquake potential of the region. This volume will be thus an outcome of the collective research that was presented at the AGU fall meeting 2013. The Eastern Mediterranean Region contains one of the world's longest and best studied active strike-slip (horizontal motion) faults: the east-west trending North Anatolian fault zone, which is very similar to the San Andreas fault in California. Thus, the chapters included in the AGU volume will have widespread applications in measuring plate motion and will also have strong implications in predicting natural disasters like earthquakes both on a regional and a global scale. Ibrahim Cemen is a Professor of Geology in the Department of Geological Sciences at the University of Alabama. He has published over 50 research articles in several high impact journals including Journal of Geophysical Research and edited 2 Tectonophysics Special Volumes. His research focuses on structural geology and tectonics with special interests in neotectonics, earthquake geology and tectonics of sedimentary basins. His main research areas are Anatolia, Turkey, Basin and Range and Midcontinent regions, U.S.A.
Yucel Yilmaz is an Emeritus Professor of Geology in the Faculty of Mines of The Istanbul Technical University. He has published over 120 research articles in several journals and books among those are Geological Society of America, Tectonics, JVGR and Geological Society of London. His works concentrate mainly tectonic development of Anatolia, Turkey. One of the articles (co-authored with A.M.C. Tengor) reached the highest citation score in Tectonophysics. His research focuses on Tectonics, Morphotectonics and petrology of igneous rocks.